05 Sep Soumah Hooke’s Two Gold Medals! Huon Hooke is one of Australia’s leading wine journalists, having been writing about wine for over 30 years! He is an extremely well-respected voice in Australia when it comes to wine, and we have recently had the privilege of having Huon rate two of our wines at 96 points – Gold medals! The wine is full-bodied and dense, rich and high extract. A weighty, concentrated Nebbiolo. Very tannic and chewy and powerful. Authentic Nebbiolo, utterly convincing. Really quite spectacular. 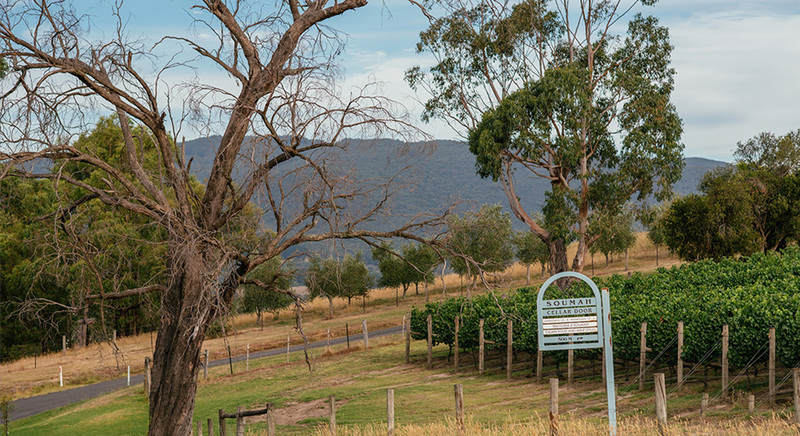 Our first vintage of Nebbiolo (2015) has received high praise from Huon. Nebbiolo is a tough grape to cultivate and vinify, so to receive this accolade is very important to us. At Soumah we are inspired by the wines of Northern Italy, so our aim is to make our Nebbiolo in a traditional style: extended 120 day skin maceration, followed by a lengthy maturation in 3-4 year old oak puncheons. Our wine has been rated #1 out of 16 Australian Nebbiolos tasted. Our 2016 Single Vineyard Chardonnay has also received more attention! Huon has ranked it #2 out of 26 Yarra Valley 2016 Chardonnays tasted, and rated it 96 points as well. Our Chardonnay is our most awarded wine, and this great result is another feather in the cap of this little beauty! Make sure you place your order for these wines soon, as stock levels are already beginning to look low. We couldn’t be happier with these recent awards, and we hope you enjoy the wines as much as we enjoy making (and drinking) them!